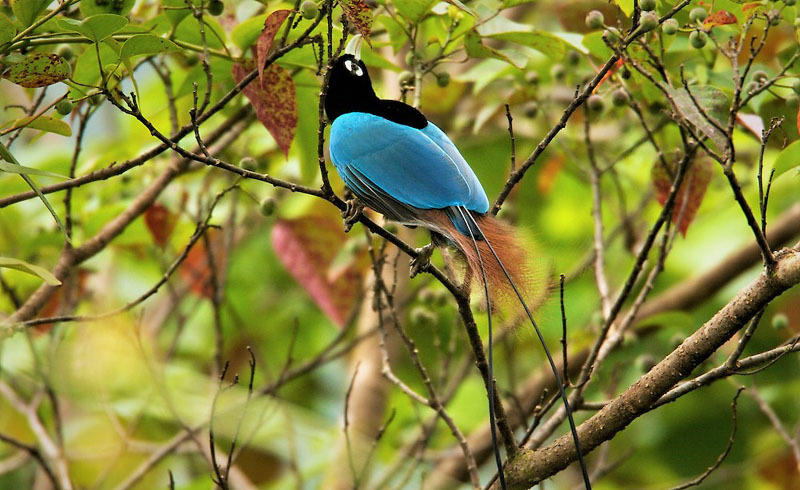 The blue bird-of-paradise is endemic to Papua New Guinea. It is distributed to mountain forests of southeastern New Guinea. Regarded by some ornithologists as the loveliest of all birds, the blue bird-of-paradise was discovered by Carl Hunstein in 1884. The scientific name commemorates the ill-fated Crown Prince Rudolf of Austria. 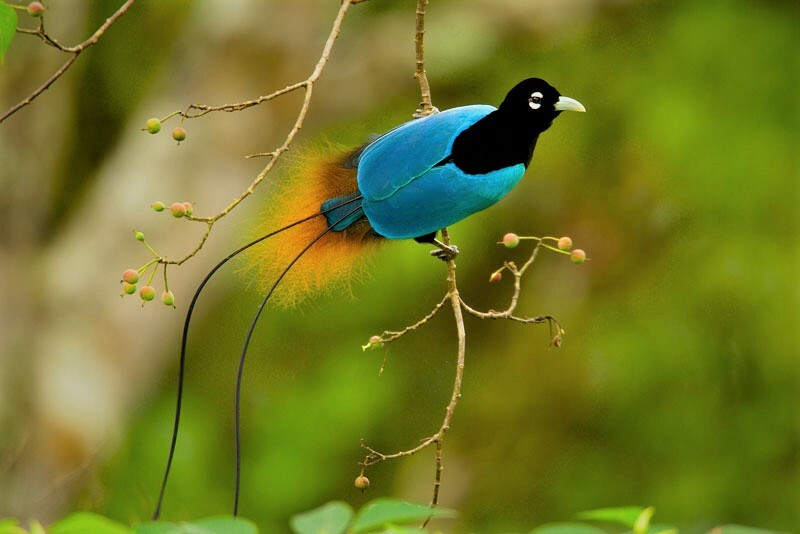 Due to ongoing habitat loss, limited range, small population size and, in some areas, by hunting for its highly prized plumes, the rare blue bird-of-paradise is classified as Vulnerable on the IUCN Red List of Threatened Species. The species is approximately 30 cm long, black with a bluish-white bill, dark brown iris, grey legs, broken white eye-ring and bright blue wings. 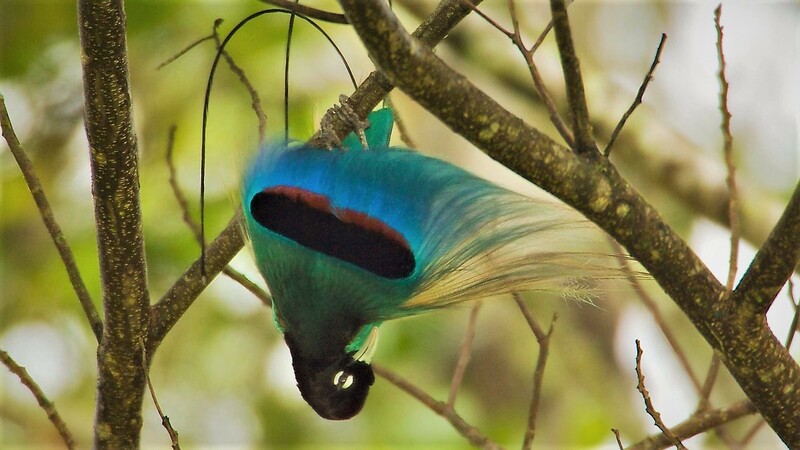 The male is adorned with violet blue and cinnamon flank plumes and two long ribbon-like tail feathers. The female has a chestnut brown below.